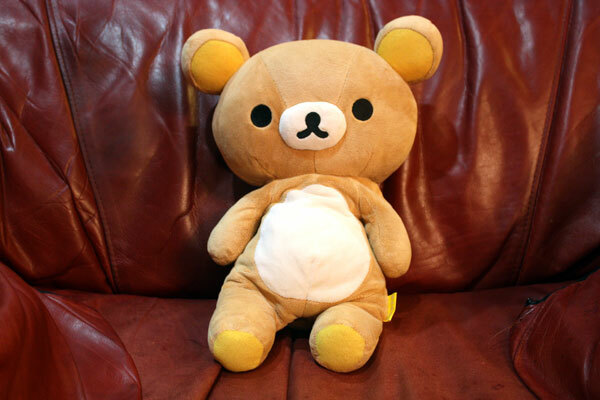 This is the Rilakkuma plushie seen in every one of the Rilakkuma Lifestyle photos (with the exception of user submissions). He’s the star! He’s my first Rilakkuma plushie – he was a gift from my parents when I graduated from Duke this past spring. I take him with me wherever I can. With the help of my sister, my parents purchased him from a Hawaiian seller. At the time, I didn’t really know too much about Rilakkuma, just a few gifs I saw on tumblr. Look how far we’ve come! No, he’s just floppy and squishy like a regular plushie, which is one of the things I love most about him, actually!